Where: Spectrum Stadium, Orlando, Fla. The Owls get throttled in week one against Oklahoma but that was a completely different realm . FAU has bounced back with two wins in a row now and have looked like the preseason C-USA favorite. FAU enjoyed a tremendous first season under head coach Lane Kiffin in 2017, finishing 11-3, winning the Conference USA Championship and winning the Boca Raton Bowl. Key Player: RB Devin Singletary leads the offense and was named Third Team AP All-American last year after rushing for 1,920 yards and scoring 32 touchdowns. 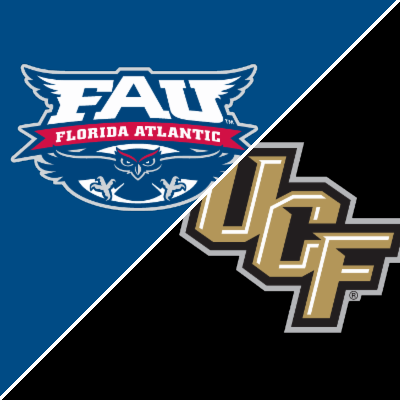 Thus far, he has not gotten off the the same kind of start as last year so he needs to pick-up the groove for FAU to hang with UCF. Fantasy Bonus Baby:QB Chris Robison is the first year starter for the Owls. So far, he has 799 passing yards and 4 touchdowns through the first three games of the season. Look for him to put up some big passing spastics in this one. The Knights have started 2-0 under Heupel, winning at UConn and then taking out FCS South Carolina State in week two. UCF is currently second in the nation in total offense (609.0) and fifth in the nation in scoring defense (8.5) after shutting out the Bulldogs. These two Florida rivals have only played once before in which UCF won a 33-29 in 2003. Key Player: QB McKenzie Milton already has 549 passing yards and six touchdowns through two games. He will have two big time weapons inw WR Tre Nixon and Gabriel Davis. Fantasy Bonus Baby: Milton should be able to put up some good numbers against an Owl defense that has given up a lot of points so far through three games.